The French tax system is complicated and consistently being reformed, with several important changes being introduced in 2019. This guide aims to cover the main areas that will be applicable to expats, but as taxes change frequently and often significantly, please consult with a financial specialist before making any decisions. Official residents pay French taxes on worldwide income, which includes earnings from employment, investments, dividends, bank interest, pensions and property. Non-residents usually pay tax on their France-sourced income at a minimum French tax rate of 20%. 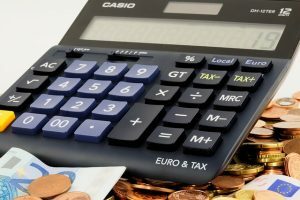 As of 2019, France is introducing the PAYE system for collecting income tax, known as Prélèvement à la Source. This mostly affects salaried workers, who will no longer pay tax annually. Whereas previously income tax declarations had to be filed in May/June of every year, covering the previous calendar year, the tax will now be deducted on a monthly basis from source, i.e. by employers, for salaried workers. For all other types of income, monthly or quarterly direct debits will need to be set up to pay the tax, which will be calculated on the basis of 2017 payments. For residents in France there are five tax rates and bands, ranging from 0% tax payable on annual earnings of less than €9,964 to 45% on earnings over €156,224. These rates are adjusted annually for inflation. The initial €9,964 of all earnings is free of tax, and can be deducted from total earnings to establish the correct tax band. For example, if your earnings are €25,000, your taxable earnings are just €15,036, currently taxed at 14%. The amount of tax payable is based on earnings as a household, rather than the individuals in it. This means adding up the earnings of every member of the family and dividing that figure by the number of people in the family, or parts familiales. Working adults count as one whole part; the first two children as half parts and successive children as one part. This method means that families with children, and couples who are married or in a PACS civil partnership, usually pay less income tax than individuals. Parents who are neither married nor PACS are taxed separately and only one parent can claim responsibility for the household. Social security contributions are collected by the state and cover healthcare, family benefits, pension, unemployment benefits and workplace accident cover. For salaried workers, the charges are split between the employer and the employee, with employers paying around 40–45% and employees paying around 20–25% of gross earnings, which is deducted from the salary on a monthly basis. Self-employed workers pay around 40% of their earnings in social charges once their businesses are up and running. Other social charges rates are currently 17.2% for investment income, including rental, and 9.1% for pensions. However, those whose pension income is less than €2,000 per month for an individual or €3,000 for a couple will now pay a lower rate of 7.5% on this income. Anyone holding the healthcare certificate Form S1 (formerly E106/E121) or who is not part of the French health care system, does not have to pay social charges on pension income. Likewise, Form S1 holders or non-residents no longer have to pay the full 17.2% social charges on investment income and capital gains, and will instead pay a flat rate of 7.5%. The PFU, or ‘flat tax’, was introduced in 2018, and applies to savings interest, dividends and capital gains on the sale of shares and securities, but not rental income. The rate is 30%, which combines income tax (12.8%) and social charges (17.2%), but non-residents are not liable for the social charges element. The flat tax benefits higher rate taxpayers whose marginal rate of income tax is at least 30%. Lower income households can choose to opt out, and use the scale rates of income tax instead, plus social charges. Capital gains tax in France is payable on the sale of buildings, land and shares, and stands at 36.2%. Wealth tax was reformed in 2018, and no longer applies to most worldwide assets, but only to real estate assets, with savings and investments no longer subject. However, due to the 2018/2019 Gilets Jaunes demonstrations, this reform is now under review, and the old-style wealth tax may be re-introduced in 2020. The current threshold is €1,300,000. Tax rates start at 0.5% for real estate assets between €800,000 and €1,300,000, and rise progressively to 1.5% for assets over €10,000,000. Non-residents are only taxed on French assets, while residents are taxed on all assets worldwide. Please note, this article is only meant as a guide, and French taxes are subject to change. Please consult a specialist, and/or visit the website of the French Ministry of Economy and Finance at: www.impots.gouv.fr Some pages are written in English.